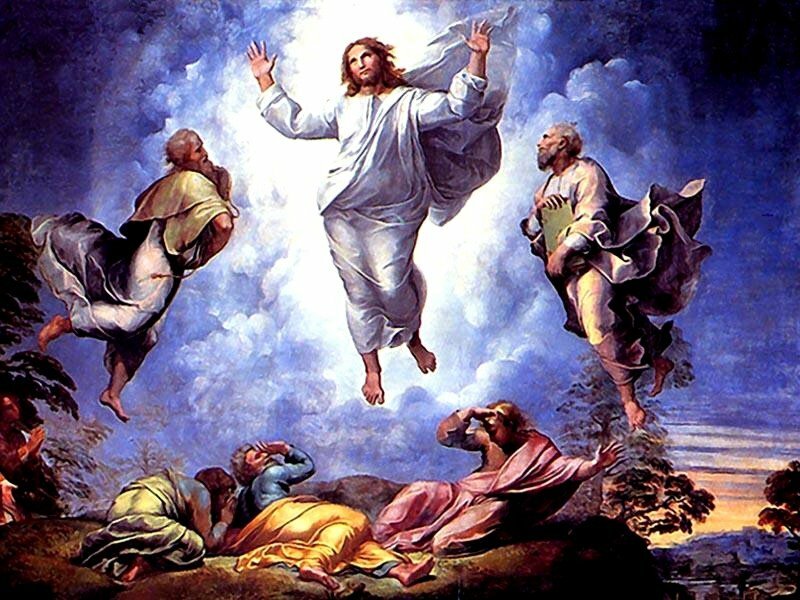 The angel carries John away to a vantage point on a great and high mountain to watch the descension of the New Jerusalem from the New Heaven down to the new earth. It is a great and holy city – Rev. 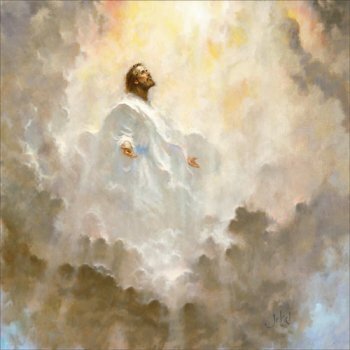 21:10 “And he carried me away in the spirit to a great and high mountain, and shewed me that great city, the holy Jerusalem, descending out of heaven from God,” The city has the glory of God – Rev. 21:11 “Having the glory of God: and her light was like unto a stone most precious, even like a jasper stone, clear as crystal;” That statement alone is impossible for us to fathom. The city’s lighting is described as a jasper stone, clear as crystal. Pliny speaks of white jasper called Astrios, which he says is “crystallo propinquans” – “near to crystal.” This stone can be found in India. The wall of the city is described in Rev. 21:12, 13, 17, 18a – “And had a wall great and high, and had twelve gates, and at the gates twelve angels, and names written thereon, which are the names of the twelve tribes of the children of Israel:”, “On the east three gates; on the north three gates; on the south three gates; and on the west three gates.”, “And he measured the wall thereof, an hundred and forty and four cubits, according to the measure of a man, that is, of the angel.”, “And the building of the wall of it was of jasper: and the city was pure gold, like unto clear glass.” Do not confuse the wall around the city with the wall of the city (about 1500 miles high!). The wall around the city is great and high, 144 cubits. A cubit is approximately 18 inches: the distance from an average man’s elbow to the tip of his middle finger. This wall is possibly between 216 and 240 feet high. That is 20-24 stories! We will see later that the length of each side of the wall is over 1500 miles. The wall has 12 gates – 3 on the east, north, south, and west sides of the wall. Each gate has an angel posted at it. These gates will not be shut during the day. Seeing there will be no night here, they will never be shut! Rev. 21:25 “And the gates of it shall not be shut at all by day: for there shall be no night there.” How contrary to the story in Genesis 3:24! “So he drove out the man; and he placed at the east of the garden of Eden Cherubims, and a flaming sword which turned every way, to keep the way of the tree of life.” Praise God! The wall of the city is like jasper, a precious stone of various colors such as purple, blue, green, brass, and sometimes crystal clear. So God looks like jasper – Rev. 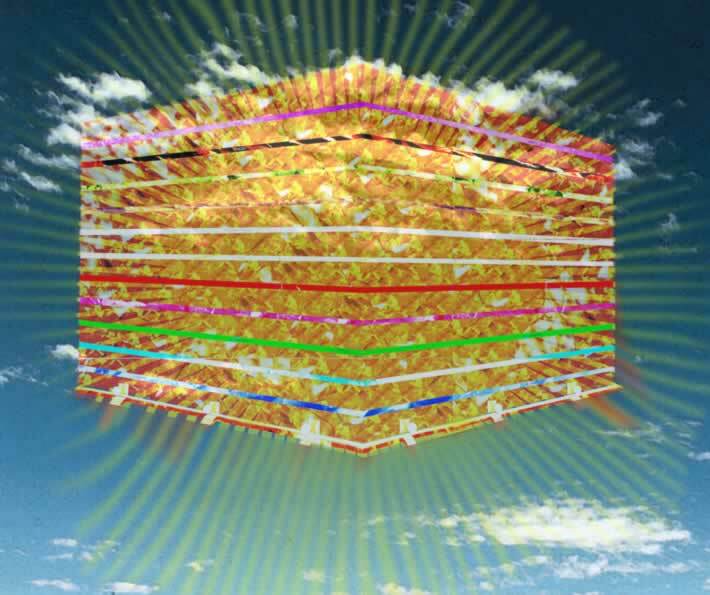 4:3 “And he that sat was to look upon like a jasper and a sardine stone: and there was a rainbow round about the throne, in sight like unto an emerald.” The lighting of the New Jerusalem is like jasper (Rev. 21:11), the wall around the city is like jasper (Rev. 21:18), and the first of the 12 foundations of the city is like jasper (Rev. 21:19). The city is a cube – Rev. 21:15-16 “And he that talked with me had a golden reed to measure the city, and the gates thereof, and the wall thereof. And the city lieth foursquare, and the length is as large as the breadth: and he measured the city with the reed, twelve thousand furlongs. The length and the breadth and the height of it are equal.” The length, height, and breadth of it are equal – 12,000 furlongs. A furlong is 1/8 of a mile. That would make the city 1500 miles in each direction. That is the distance between Buffalo, NY and Amarillo, TX. The city is so high, that an airplane flying at 35,000 feet would crash 1/20th of the way up the first foundation. The land mass equals 2,250,000 square miles. The total mass of the city is 3,375,000,000 cubic miles. Wow! Try wrapping your brain around that! 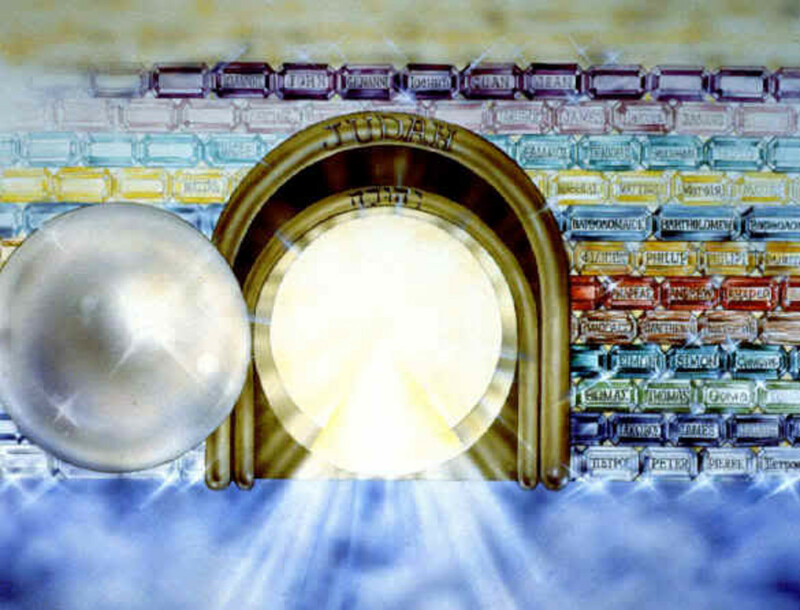 The 12 gates are made of pearl. The street of the city and the city itself are pure gold, like transparent glass (Rev. 21:18, 21). That is a lot of gold! The city has no temple. God and the Lamb are the Temple of it (Rev. 21:22). 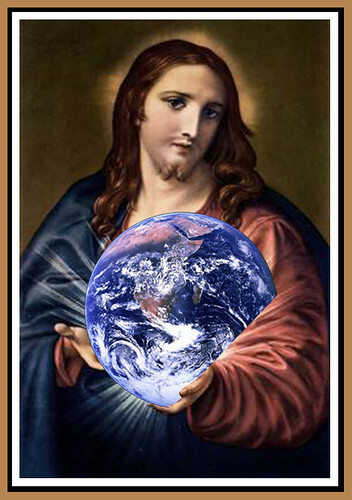 There will be nations and kingdoms on the new earth. We will serve God there forever. All people there are saved – Rev. 21:24 “And the nations of them which are saved shall walk in the light of it: and the kings of the earth do bring their glory and honour into it.” This is the last time the word “saved” appears in the Bible. It refers to those rescued from the destruction. The saved bring their glory and honor (that which is most valued) into the city, (verse 26). The saved are further described as “they which are written in the Lamb’s book of life” (verse 27). Nothing defiling, disgusting, or deceitful will ever enter the city (verse 27). Although there is no temple, there is still a throne – Rev. 22:1 “And he shewed me a pure river of water of life, clear as crystal, proceeding out of the throne of God and of the Lamb.” It is for the Father and the Son. We will not become deities in the future, as cults teach. There is only one throne and it is for God! From the throne flows a pure river of water, clear as crystal. There is also a fountain with the water of life (Rev. 21:6). There will be no curse there – Rev. 22:3 “And there shall be no more curse: but the throne of God and of the Lamb shall be in it; and his servants shall serve him:” The word “curse” means “to invoke an evil on someone.” That will never happen again, because God is on His throne, and we will all serve Him. We shall see God’s face – Rev. 22:4 “And they shall see his face; and his name shall be in their foreheads.” Contrast this statement with Exodus 33:20 “And he said, Thou canst not see my face: for there shall no man see me, and live.” How wonderful to look forward to seeing God face to face! Jacob and Manoah claimed to have seen God – Genesis 32:30 “And Jacob called the name of the place Peniel: for I have seen God face to face, and my life is preserved.” Judges 13:22 “And Manoah said unto his wife, We shall surely die, because we have seen God.” God probably appeared to them as an angel or a Christophany (an Old Testament appearing of Jesus Christ). John 1:18 and 1 John 4:12 say that no one has seen the face of God the Father. Jesus was the manifestation of Father on earth, but not in His glory (John 14:9; Isaiah 9:6). It will be common for all the saved to look upon the Father’s face one day! God’s name will be in our foreheads, denoting ownership. There will be no need of the sun or candles there, because the Lord and His brilliance will be the light. There will be no night – Rev. 22:5 “And there shall be no night there; and they need no candle, neither light of the sun; for the Lord God giveth them light: and they shall reign for ever and ever.” The 7 “no’s”: No sea, Rev. 21:1; No sorrow, 21:4; No crying, 21:4; No pain, 21:4; No death, 21:4; No curse, Rev. 22:3; No night, 22:5. God’s servants will reign forever and ever (Rev. 22:5). It will also be a place of reward (22:12). This will be according to our work for Jesus Christ after we become saved by His blood. Other Scriptures to study in regards to rewards: Psalm 62:12; Jeremiah 17:10; Matthew 16:27; 2 Corinthians 5:10; 1 Corinthians 3:11-15; 15:40-42a; Daniel 12:3. 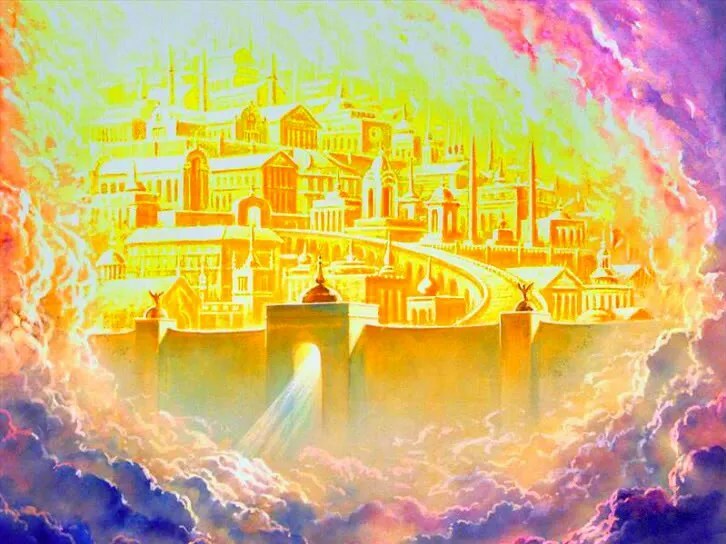 Those who are obedient will have access to the Tree of Life, and may enter the gates of the New Jerusalem (Rev. 22:14). Obedience is of utmost importance in our eternal standing. In the New Jerusalem, there will be limitations on those who were disobedient on earth. We will not all be equal. This is implied in Matthew 5:19; “Whosoever therefore shall break one of these least commandments, and shall teach men so, he shall be called the least in the kingdom of heaven: but whosoever shall do and teach them, the same shall be called great in the kingdom of heaven”; 19:29-30 “And every one that hath forsaken houses, or brethren, or sisters, or father, or mother, or wife, or children, or lands, for my name’s sake, shall receive an hundredfold, and shall inherit everlasting life. But many that are first shall be last; and the last shall be first.” 1 Corinthians 15:40-42a. Salvation and inheritance are two different things. Salvation cannot be lost, but inheritance can – 2 John 8 “Look to yourselves, that we lose not those things which we have wrought, but that we receive a full reward.”; Nehemiah 13:14 “Remember me, O my God, concerning this, and wipe not out my good deeds that I have done for the house of my God, and for the offices thereof.”; Colossians 2:18. When someone tampers with the Word of God on earth, they forfeit rewards and access to the Holy City in the New Heaven. This is the last warning and insight we have into the New Heaven. We may want to take care not to involve ourselves with many of the corrupted versions of the Bible that keep popping up. Heaven is a wonderful place for us to look forward to! This study just scratches the surface of this doctrine. I hope you have prepared to go there some day. And all who will drink may be free. How beautiful Heaven must be. B. Justice – God is a just God. He exists eternally as a Judge who will mete out judgment. A Judge must condemn the guilty or let the innocent go free. As a Judge, God is remunerative (rewarding) and retributive (chastening). Since God cannot act contrary to His laws, our crimes must be punished. A person must suffer for his own sin or accept God’s plan of redemption. C. Righteousness – The attribute that causes God to always do right. “That be far from thee to do after this manner, to slay the righteous with the wicked: and the righteous should be as the wicked, that be far from thee: Shall not the Judge of all the earth do right?” (Genesis 18:25) This wonderful attribute of God guarantees that He will always keep His promises. It would be wrong for Him to not keep His word. This is why the believer gains so much assurance by holding to the promises of God – God is righteous and will keep His Word. “O Lord, according to all thy righteousness, I beseech thee, let thine anger and thy fury be turned away from thy city Jerusalem, thy holy mountain: because for our sins, and for the iniquities of our fathers, Jerusalem and thy people are become a reproach to all that are about us.” (Daniel 9:16) Because He is a righteous God, it is impossible for Him to do wrong or to lie. 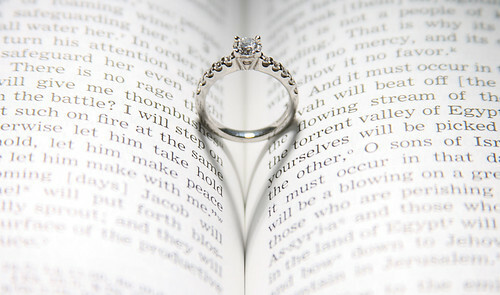 D. Love – The world uses the word “love” so flippantly that many believers have a very shallow view of Biblical love. Love is concern for the welfare of another even above one’s own welfare. The world’s idea of love is usually lust or, at best, selfishness. Lust is getting. Love is giving. Lust cannot wait to get. Love cannot wait to give. E. Mercy – Mercy is God’s compassion in not giving the sinner what he deserves. “Who is a God like unto thee, that pardoneth iniquity, and passeth by the transgression of the remnant of his heritage? he retaineth not his anger for ever, because he delighteth in mercy.” (Micah 7:18) “Mercy” comes from a Hebrew word that is the same root as the word for a mother’s womb. It is caring for someone who is completely helpless. God cares for helpless people by His moral attribute of mercy. These are just some of God’s moral attributes that He has revealed to us through His Word.